Did you know that Fairfield and New Haven counties are both home to a direct-transfer food rescue foundation committed to ending food insecurity in America called Community Plates? 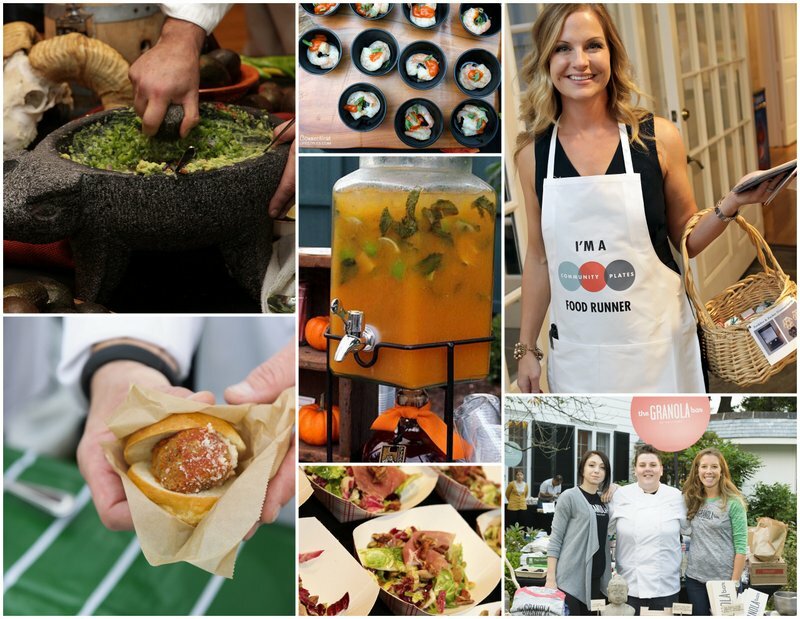 Since 2011 Community Plates has been helping those who suffer from food insecurity by using a volunteer-driven food rescue platform which works to coordinate food service organizations such as restaurants, bakeries, and caterers with soup kitchens, food pantries, and other organizations. Volunteers act as food runners and help to deliver the healthy, usable food so it doesn’t go to waste and helps feed those in need. In fact, since its launch in 2011 Community Plates has rescued over 5.3 million meals or over 8 million pounds of food! In addition to Fairfield and New Haven counties in Connecticut, the non-profit organization also operates in Columbus, OH; Albuquerque, NM; and New Orleans, LA; it plans to open six to eight additional sites in 2015. But Community Plates cannot do it all alone – they need your help! 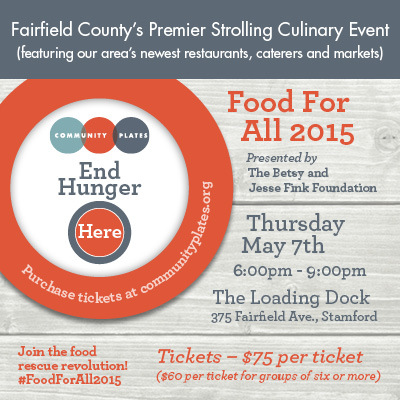 Join Community Plates in battling food insecurity in Connecticut tonight at their annual benefit, “Food For all, 2015” from 6-9pm at the Abigail Kirsch at The Loading Dock in Stamford. 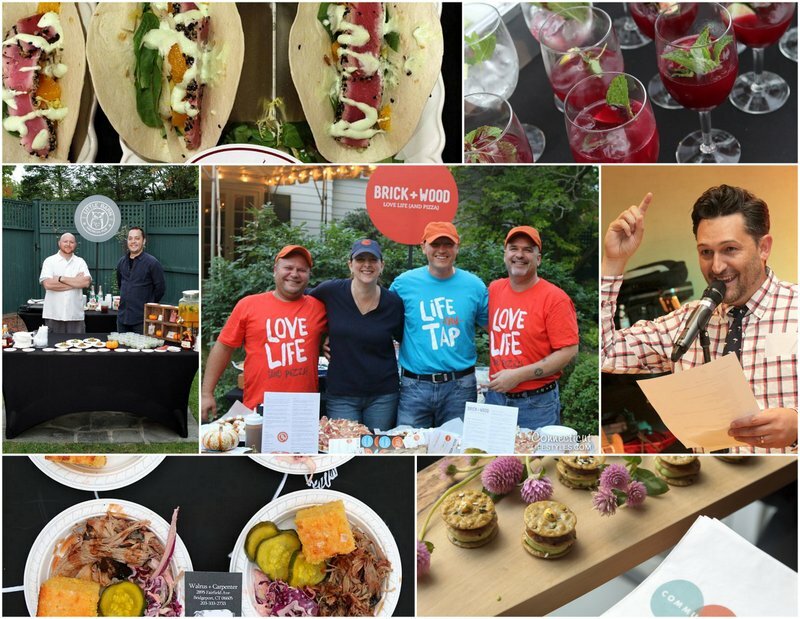 Along with some great food and libations, the event will also be featuring a photography exhibit from which attendees of tonight’s event have the opportunity to purchase work by some of the industry’s well-known food photographers! 100% of the proceeds will be going to Community Plates. Come down to The Loading Dock in Stamford tonight and help support this great cause!